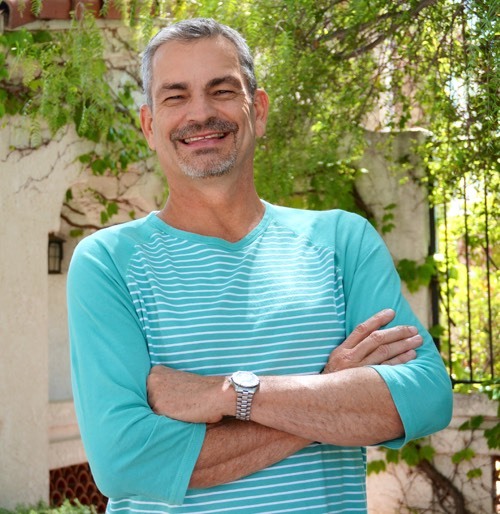 I am always impressed, enlightened and encouraged by words through Johnny Enlow. This one is no exception. It was sent from The Elijah List today. "Harvey, Houston, Hope and Joel's Army"
As I write this post the rain is still falling in Houston. What reportedly is the worst rainstorm in US history continues to drench Texas and now Louisiana before it heads north to perhaps flood other states. In a matter of a few days, more than 50 inches of rain have fallen. Surely no city on the earth could take that much water in such a short time without dire consequences. As of this moment, the low loss of life has to be considered miraculous. Yet, a preliminary estimate has the damages of this disaster exceeding 50 billion dollars with a timetable of years before "normality" will ever come back to Houston, if at all. Even early in this process I believe that the Lord has something to say: Houston will rise again and be famed as a City of Hope—but I will get to that in a moment. Was it Judgment from God? Suddenly prophecies of "judgment" have surfaced everywhere attaching Houston's flooding to the large abortion center they have there or the fact that they had a gay mayor. As I ponder on that, I wonder why the city would not be flooded WHILE the gay mayor was still in office, and not sure why God couldn't figure out how to isolate the abortion center with the flooding. If He is into saving innocent lives, why is He allowing so much harm to thousands of innocents (with some deaths) in order to teach that lesson? Could He not have just hit the abortion clinic with lightning bolts and made the message a little clearer? Why does God destroy the livelihood of thousands of innocents to judge the sin of a few? Even the "Old Testament God" wouldn't destroy Sodom and Gomorrah "if there were but 10 righteous." Yet, here He is wiping out a city of millions in order to get to the evil minority? Tragically this type of thinking represents the status quo thinking for so many Believers today. Sadly, it reveals our own broken perception of our Father, which we then confidently/defiantly pass on to others. For the record, I don't believe that this represents judgment from God. As Jesus told His own "judgment expectant" disciples in Luke 9:56 when they wanted to call down fire from Heaven on those who resisted God in the flesh (could there a greater offense? ): "the Son of Man came not to destroy lives but to save lives." Well, one thing we know is that the devil has a very reduced vision and mission statement and that is "to steal, kill and destroy." Any time there is anything stolen, anyone killed or anything destroyed, it is good to suspect his involvement. Furthermore, if people misbehaving (sin) gives him a legal right to destroy a city or nation, surely there is no city or nation in the world that is safe. However, though under substantial satanic duress, the world continues to expand its population, cities continue to grow, and even nations advance. Why is not every city with "abominable sinners" under water? If the answer to that question is that intercessors stem the judgment, then why were they ignored in Houston? I happen to know there are some good ones there. Now, I am not necessarily going to give a lot of neat and tidy answers to matters that there aren't neat and tidy answers for, but let me just tell you what I am hearing from the Lord: "Creation too has a voice." Romans 8:22 says that "...creation groans and travails for the revealing of the sons of God." What it doesn't tell us is HOW creation groans and travails and what that looks like. I will suggest to you that many so-called natural disasters are neither God, satan or chance, but an expression of creation crying out for the children of God to be who they are supposed to be—so that creation itself can be what it is called to be. Romans 8:21 says that "...creation itself, will be brought into the glorious liberty of the sons of God." I suppose in some way it could be considered "judgment" that we are not yet there, but it is not intended as judgment but rather a cry for freedom. We know that when Jesus died the earth shook and went dark, and that neither of these were connected to either an order from God or an involvement of satan. Added to this mystery of creation having a voice, is the fact that certain angels are given latitudes we don't fully know the limits to even if we have neat and tidy "angel doctrines". In Exodus 23:20-21, the Lord told Moses to tell the people to "not provoke" the angel that He was sending among them because if not he would not "pardon their transgressions." This angel was presumably Michael, and we are not told exactly what his "not pardoning" would look like. I do know that I was told by the Spirit some time back that territorial angels were being given orders to do what was necessary to bring their cities, regions and nations into alignment with their destiny. Ultimately, I believe we are going to see a lot more partnering between great angels and creation towards the reformation of cities and nations. If it strikes you as bizarre that creation would have intelligence, remember that at the quantum, subatomic particle level everything has its own distinct frequency and sound. That frequency and sound represents some level of communicating intelligence even if it is operationally different than those made directly in His image. I don't think there is any coincidence in the name that this storm was given. Harvey means "battle worthy" or "ready for war". The name stood out to me because last year I was shown by the Spirit a very great angel of "Harvest Glory" nicknamed Harvey. I talked about it in a word I released right before the AzusaNow event in Los Angeles ("AzusaNow: The Convergence of the Ages and the Harvest Glory Angel" posted on the Elijah List)—that I was shown that he was a great angel that had wide parameters of operation and that he was being released at another level at the stadium event. I had a couple people later contact me saying they saw this great angel there and described him similarly to how I described him, with one person even drawing what they saw. He is huge and glorious and carries a sickle that operates as an extension of himself. He is all about harvesting people and nations, and is always associated with bringing great economic help and releasing great anointing and spiritual mantles. His initial activation, as it were, in the United States was at the 1906 Azusa Street Revival. "There is an opportunity for the Body of Christ to recognize that God, the Redeemer, is up to something big as it relates to the restoration of Houston." Of no coincidence either is that the hurricane came through Corpus Christi. Corpus Christi means "the Body of Christ" and this is where the spiritual hurricane is now going to come through as we are thrust into the harvest glory of revival AND reformation. The nations are the reward HE is due for the suffering He went through. Corpus Christi was deeply affected by the powerful winds and over 20 inches of rain, but they were not devastated. Likewise, the Church is about to experience powerful and non-ignorable winds of the Holy Spirit, and a flooding of new manifestations and levels of His glory. There is definitely correction involved in this powerful visitation, but it is all to serve the greater glory. Expect to see an increase of strong winds of reformation for the Body of Christ. It has been reported multiple times already that the flooding from Harvey is a one-in-500-year event (some say perhaps even one-in-1000-year event). It has already been confirmed as the greatest rainfall in our nation's history. We have also been pointing out that this year we celebrate the 500-year anniversary of the Protestant Reformation, with the understanding that we are now going into Reformation 2.0—the reformation of nations. Harvey coming on the heels of a most rare total solar eclipse further confirms to us that we have entered into unprecedented days of Kingdom advance. Jesus is not now coming FOR us as many are mistakenly perceiving, but He is now coming TO us. It is a "coming" of sorts—but after coming TO us, He is going to come THROUGH us before it will be time to come FOR us.Before that stage 3 "coming" we will be a spotless Bride worthy of her majestic Bridegroom, but we are far from that at this time. Whatever plan you make, let it be at least 100 years. September 23, 2017 Coming of Jesus? As a side, the September 23 constellation alignment date that many are believing matches Revelation 12 is not as rare as being reported. About 90% of the "rare" alignments happen every year and the Jupiter quotient happens every 12 years. It is somewhat rare, but less so than the eclipse. The heavens ARE speaking and declaring the glory of God, but is all about Him coming TO us and THROUGH us and not about Him coming FOR us. He would be the Author of failure with a miscarried master plan if He returned now. In America, it seems half the Church "hated" Obama during the last presidency (and they let me know that when I informed how God was using him), and now the other half "hates" Trump (and they let me know that when I tell how God is using him). We are primarily an undiscerning, bickering, powerless, low-grade-love, Church at this time (yikes, sorry), and not really something that our doting Father is proud to present to Jesus as His Bride. The good news is He loves us passionately anyway, and He is going to pour out His liquid love on us until we abandon our old "homes" and find higher ground. All we need is LOVE, LOVE, LOVE. He is going to flood us until it is the only real story in town. I believe we do a tremendous misreading of events and reality if we look at Houston as deserving this flooding in any way. Yes, there have been abortionists and homosexuals prominently displayed in this city, but that in no wise sums up who this city is. Houston has been the oil capital of the United States and it has also been known as "Space City" because of the presence of NASA and the Houston Command Center that saw us land on the moon among other significant space accomplishments. It is also a major "Bible Belt" city with many great churches, as well as has the largest church in America, Joel Osteen's Lakewood Church. While a religious spirit has been a significant detriment to the Kingdom of God in Houston, it is still a city with many friends of God. A yet more amazing destiny awaits Houston. Here, I might surprise many of you and tell you that Joel Osteen is very popular—in Heaven. He has been bashed by much of the Church for being "an inch deep and a mile wide" but that is not Heaven's perspective at all. The rarest commodity on planet earth for some time has been HOPE. Even people who will champion love are often very challenged in their hope levels. True hope is something you have to intentionally cultivate, and though it can look like shallow "positive-thinking", when it is real, it is almost the greatest force on earth. Joel Osteen has built his life and ministry on developing and releasing hope. If you ever just feel discouraged, turn on the TV and find Joel Osteen somewhere. You will immediately feel encouraged. Beyond his words there is an anointing he carries that is tied into multi-generational blessings that are on him. He has a church of over 50,000, millions of followers on social media, through TV he reaches over 20 million a month in over 100 nations, he has 7 NY Times best-seller books, there are radio stations that play his messages around the clock, and in every ministry expression you will find yourself exposed to and infected by hope. He is widely followed by "unbelievers" because they are starving for the hope he dishes out. Somehow he has figured out that a minister of the "good news" has to carry a spirit of Good News. Joel Osteen is the world's greatest exporter of this rarest resource on the planet—hope. Furthermore, he has had to defend his hopeful perspective on God and life in setting after setting, both secular or religious. If you look up his name, he has been labeled a "prosperity preacher" and that is somehow in today's Christian environment a no-no. Do we really want "poverty preachers" or "despair preachers"? Is that really what we think is the true essence of the Gospel (which means "good news")? Did Jesus really come and promote abundant poverty and challenge? Or did He say I come that you might have abundant life (John 10:10)? If poverty were a virtue would it not exist in Heaven? Does anyone believe that's the case? Yes, I know there are and have been "prosperity preachers" who use it to manipulate for great offerings. Joel is not one of those. Oh, that the Christian world would embrace the God that is presented by Joel Osteen. If being hopeful and joyful is "shallow", then Heaven must also be shallow. 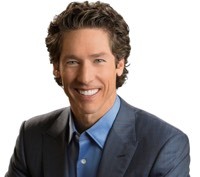 I have been shown that something about this whole Houston flooding has to do with God promoting Joel Osteen. Perhaps, that is why there was a quick and unfair cheap shot taken at him and his church by the press after Hurricane Harvey. Believe me, God is promoting him. Joel will now be invited to spiritually spearhead the rebuilding of Houston. While many are thinking and saying that the city needs to be given up on, God has other things in mind. Houston will rise again and be known as a City of Hope. "Houston will rise again and be famed as a City of Hope—but I will get to that in a moment." There is an opportunity for the Body of Christ to recognize that God, the Redeemer, is up to something big as it relates to the restoration of Houston. The spirit of death and the spirit of religion is being flooded out of town, and it is going to allow for this city to arise as a model of reformation. Houston was named after Samuel Houston and the Samuel anointing is going to rise in the city. Samuel was the prophet who carried oil. Houston has been known for natural oil, but will now be known for spiritual oil. The Hope Reformation oil from what God does in the city will spread and "anoint" cities that will arise like David and kill their Goliaths. The "Joel's Army" for today will be those that arise in the same spirit as the appropriately named Joel Osteen. Joel Osteen is being commissioned and empowered to raise a "Joel's Army" and they will be victorious as the name of his life and ministry partner, Victoria Osteen would tell us. Corpus of Christi—get behind this man and couple and pick up of his spirit, even for yourself. You need what he carries to thrive in the coming days. Hurricane Harvey did not cross the Atlantic as the eventual category 4 storm it became. That dynamic happened as it came into the Gulf of Mexico, where the water was described as "unusually hot". 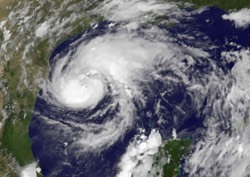 Overheated waters in the Gulf of Mexico caused the hurricane to build up. This whole hurricane phenomenon has many pieces of the puzzle, but one of them is that an undesirable "heating of the waters" existed that played out. This is a time for healing of the gulf WITH Mexico. Part of the incendiary national discourse taking place has to do with a need to repair thoughts and dialogue regarding Hispanic immigrants. Now is a really good time for that. After the initial multi-billion dollar damages pay out, there will be a major boom in the building industry caused by the flooded region (add Louisiana to that mix). While many in America are operating to the distorted narrative that Hispanic immigrants are "taking our jobs", the reality is that even BEFORE Harvey the national building industry was in great need of workers. Overall, the nation has over 6 million jobs available that are not being filled. We already have an almost record low unemployment level and this is only going to go down. Our nation is presently more in need of workers than jobs. President Trump is also about to embark on a major rebuilding of America infrastructure initiative that might cost above a trillion, and demand hundreds of thousands of workers willing to do that type of work. Who are the workers willing to do that kind of work? As you know, it is primarily the Hispanic immigrant population (legal or otherwise) that is famed for their work ethic and that has been building America for some time. We must end our misconception of their role in America, as they have been very key for us and will now be extremely key for us. Watch as the real numbers come out and you will see that we will need a force of around 250,000 to rebuild Houston, and we will either have to allow for special work permits to abound or re-think our immigration policies. There is nothing wrong with making our borders more secure but there is attached dialogue that has created an unnecessary rift/gulf with Mexico and Latin America, and with the immigrant populace in general. Telling and retelling anecdotal violent exceptions from the Latino immigrant pool only "heats up the waters" in an unnecessary way. Body of Christ, let's get back to the assignment of being "ministers of reconciliation" as we are Biblically charged to do (2 Cor. 5:18-21). Furthermore, Jesus is still saying "Blessed are the peacemakers..." (Matthew 5:9). It is of no coincidence that the 67-mile-wide "path of totality" for the recent total eclipse essentially began in Salem, Oregon and that a total of 7 Salem's were in that path. The word Salem means "peace" or "peaceful" and God has a Psalm 67 "face shining on us" reality as we embrace that. I will tell you that "creation itself" is going to continue to "act up" in ways that look like "judgment" until we abandon the hostile, polarized thinking and talking that we have been deeply engaged in.